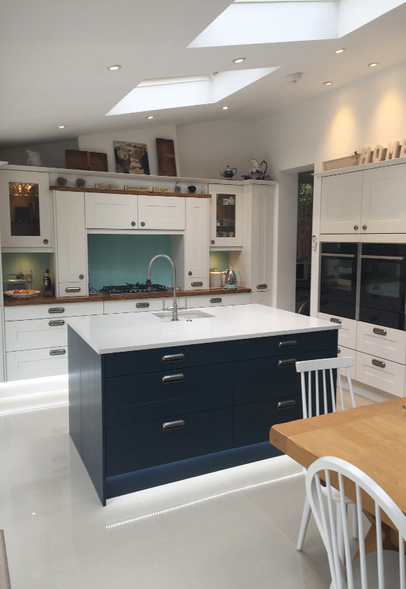 A good example of how to design and integrate into the home a contemporary traditional kitchen design. 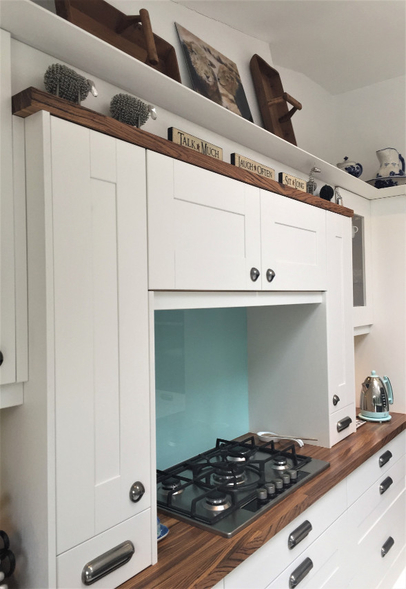 Our thanks go to our customer Liz Stern for sending in these photos of her gorgeous new painted, shaker style kitchen. 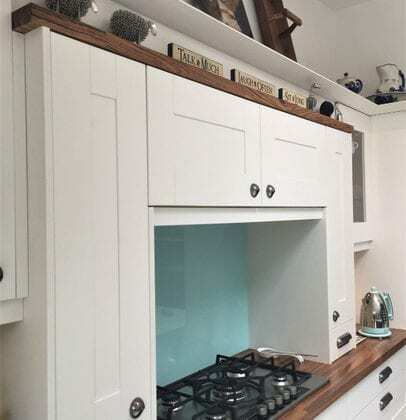 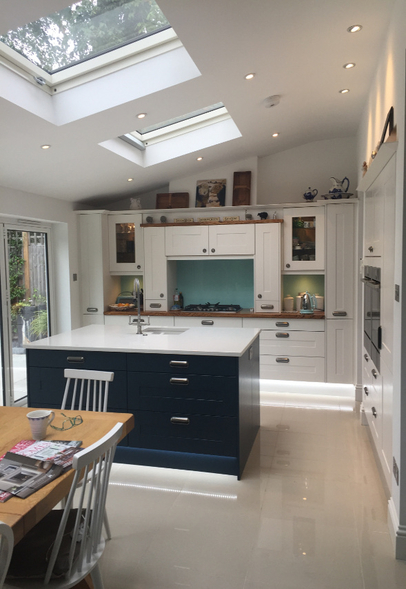 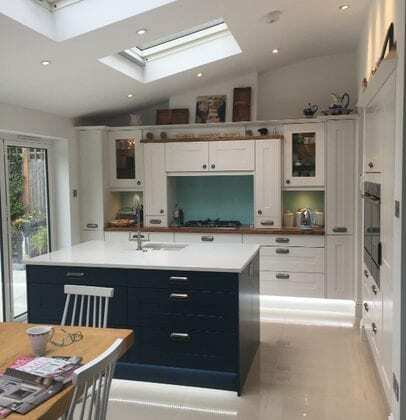 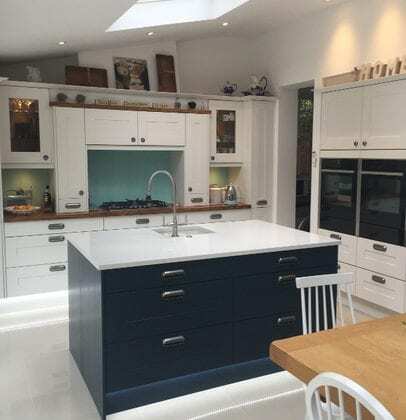 The door is called Broadoak and combines two colours, with the island in Hartforth Blue with the rest of the units in Chalk white. 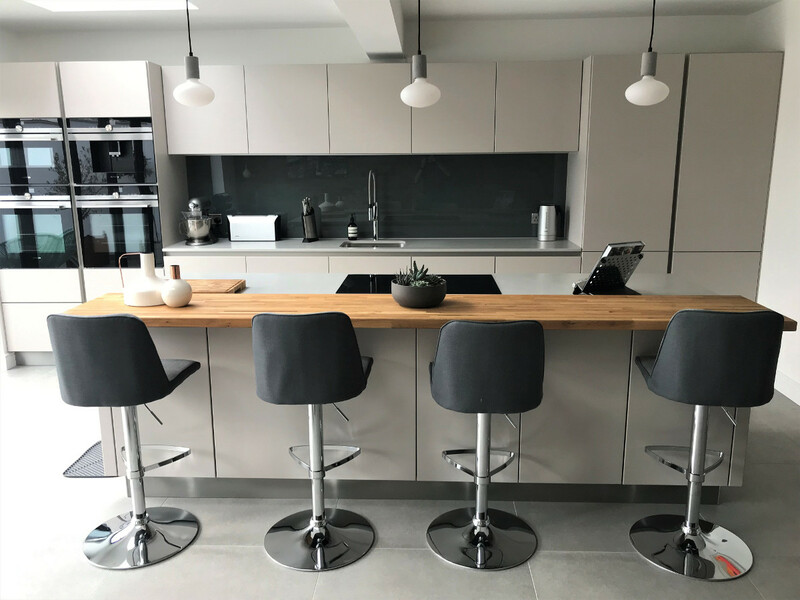 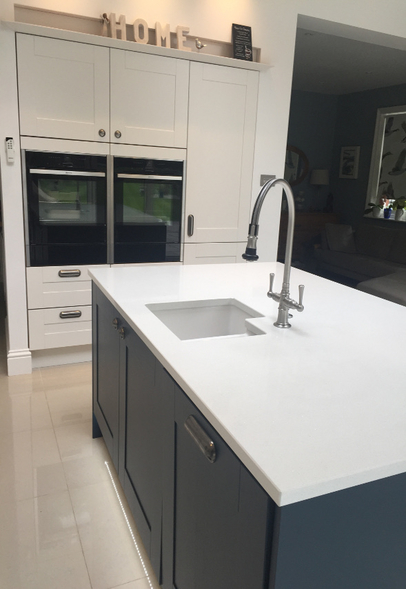 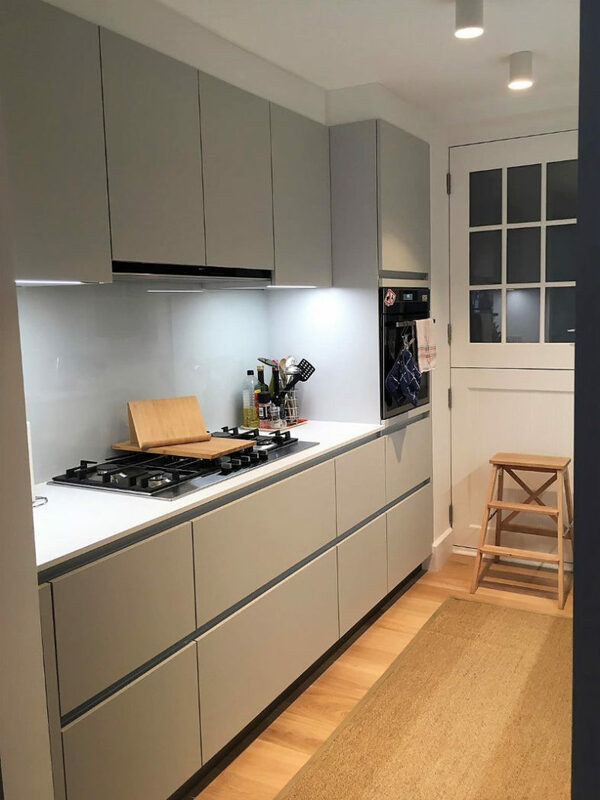 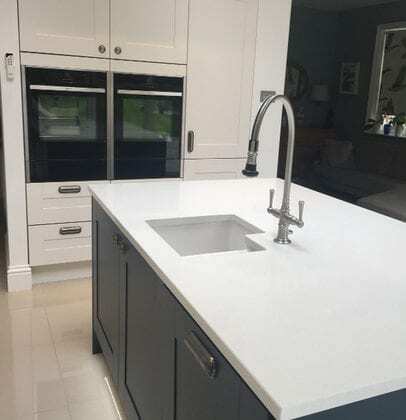 The worktops feature two different materials, Zebrano natural wood with quartz stone in Princess white, 30 mm thick with a chamfered edge on the island.